Patience pays off. I took this picture in front of German artist Heinz Mack’s The Sky Over Nine Columns in Venice after sitting contemplating the beautiful scene for around 20 minutes. Hope you like it. There’ll be more pictures from our trip to Venice coming soon, so do pop back for another look. 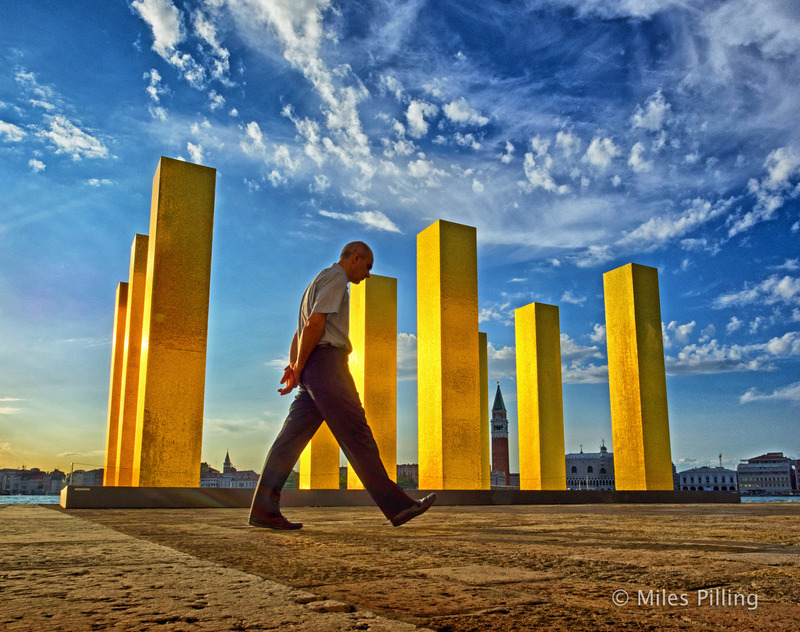 I love the rather surreal effect of those yellow pillars against that gorgeous sky! Thank you Miles! It’s many decades since I visited Venice and I can’t wait to see more of your photos. Sounds like you had a great trip. ….and the beautiful Venice skyline too ! Great angle–makes all the difference. Such a good photo, thanks for sharing! Thanks for your feedback. It’s much appreciated.